Here’s a scenario: you want to access a specific website, but your country has blocked it for some reason. It might not even be a dangerous website, and you simply would like to connect with friends using Facebook, WhatsApp or Telegram. Or maybe you’re in school, but the school has blocked access to YouTube on their Wi-Fi network. How can you get around these restrictions? Enter the proxy. Proxies can come in a couple of different forms, most notably as a server or website. They are basically the keys that you need to unlock the rest of the Internet regardless of your Internet connection or location. There are millions of proxy websites available online, but the vast majority aren’t worth the time it takes to enter their web address. Today, we’re here to take away all of the confusion surrounding proxies. We’ll discuss the basics you need to know, compare them to similar services, and even provide you with a list of the ten best proxy websites you can find online. A proxy site essentially allows you to send or receive information to and from a variety of different websites and servers. The best part is you don’t need to actually visit these websites or servers with your personal IP address. This task is accomplished by basically tricking your network’s firewall or the network filters that you are visiting an allowed website even if your country has blocked it. Proxies are just one of the many options that people use to access blocked websites and hide their IP addresses. There are also VPNs and a few other options, although free proxy websites are typically easier for beginning users to use. They are typically fairly risk-free as long as you use a reputable proxy website like the ones on the following list. You usually don’t need to download any specialized software and can start privately and freely browsing the Internet directly from the proxy’s website. Proxies will also improve your Internet connection in many cases as well by bypassing all of the firewalls and filters that can throttle your speed from your ISP. These facts are just the basics of proxy websites, and there are a lot of technical details behind the functions of proxies. When it comes to the free proxy websites available, not all are created equal. Many of the proxy sites are free, while others offer premium paid features. They can greatly improve your Internet browsing experience, although you should be wary of some. If you choose the wrong proxy website, you could actually put your security and anonymity at risk. For this reason, we’ve done our due diligence to research and test every proxy website features on this list. Now that we’ve covered the basics of proxies, you might want to know why people choose to use proxies. Beyond protecting anonymity, proxies also provide a host of other benefits. Many people choose to use proxies on corporate networks to control which websites their employees can use. 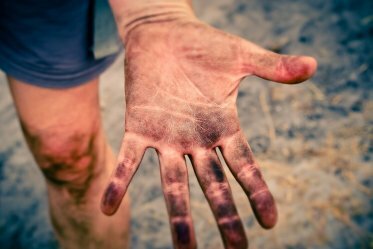 They might not want their employees to browse social media or other websites during working hours, and a proxy on the network can prevent this. It might seem a little over the top, but this can help many employers ensure that their workers are productive during their billable hours. By forcing their employees to go through the proxy, they can also track and monitor things like websites visited, amount of time spent on the websites, and more for each employee. Companies can choose to use proxy servers to help save money on bandwidth and improve the overall speed of their network. These proxy servers can compress the traffic that goes through them, and even cache files and strip advertisements before they reach a device. If a company has thousands of employees, proxies can save them thousands of dollars in savings each year. One example of this is web page caching. For instance, if one employee visits a webpage for the first time, the proxy can cache it and store it locally. Then, whenever another employee visits the same page, assuming it hasn’t changed, they’ll simply see the cached version without having to reconnect to the website. This improves loading speeds and helps save the company on bandwidth. Whenever you browse the Internet normally, the websites that you visit can see the IP address that you use. This can pose security and anonymity risks since every IP address is unique and easily traced. Hackers can use your IP address to pinpoint your geographic location, and the browser also sends user agent information to the website. 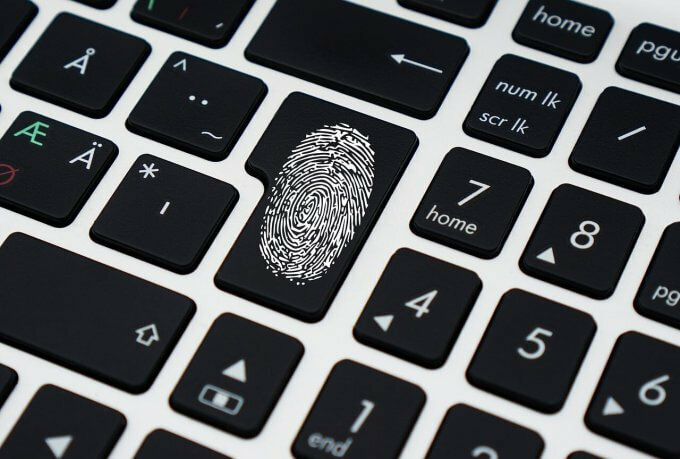 What’s more, cookies stored on your computer can provide even more personal information for websites and hackers. With a proxy server, you can choose to hide your IP address or use a completely different one. You can also disable cookies, user data, and much more. Proxies provide users with a decent amount of privacy, so if you want to browse the web without having to stress about websites and advertisements tracking your history, a proxy is a must-have. If you want to improve the security of your network, proxy services could help you in a couple of ways. You can use a proxy to block certain malicious websites and even use them for encryption services to make sure that your data is kept secure. Many people in countries outside the United States use proxies to bypass government censorship. Many governments around the world block certain sites in efforts to shut down dissent. With proxies, you can trick websites like Facebook and other social media to circumvent governmental blocks. Even if you don’t need to use social media for dissent, there are also cases where a proxy could come in handy. For example, popular streaming site, Hulu, is only available in the United States and Japan. If you want to watch the latest shows but live outside these countries, all you have to do is find a great free proxy website, and you are good to go! A proxy is essentially a point-to-point link from your device to a remote location of the Internet. For example, if you were sitting in a coffee shop in Chicago and wanted to access a website that is only available for people in China, with a free proxy website, you could visit those websites. In reality, this feature is actually more useful for people in countries that block popular websites such as Netflix, Facebook, WhatsApp, and more. Proxies are the go-between your device and the website, and through the use of servers placed in different locations around the world, you can essentially trick the website into thinking your IP address is in a different country. Proxies are 100% legal if you use them legally (I.e., don’t use them for illegal activities) and the best part is that many of the best proxies available online are completely free to us without the need for a subscription. Many people think that proxy websites are the same thing as proxy servers and use the two terms interchangeably. Although they are similar, there are a few differences to keep in mind. Proxy websites let you browse the web using their Internet connection wherever it is in the world. This is a more basic approach but essentially accomplishes the same goal as a proxy server. You can access a proxy website the same that you would access any other website by simply entering the URL into your Internet browser’s address bar. Proxy servers, on the other hand, are similar to proxy websites with a few fundamental differences in operation. Proxy servers provide users with a unique IP address that you then set up in your web browser to then surf the net. You are still browsing through the proxy service’s Internet connection, but this version usually allows for a stronger connection. Many people think that proxies and VPNs are the same things. It is true that they both function to provide the same benefits to users. 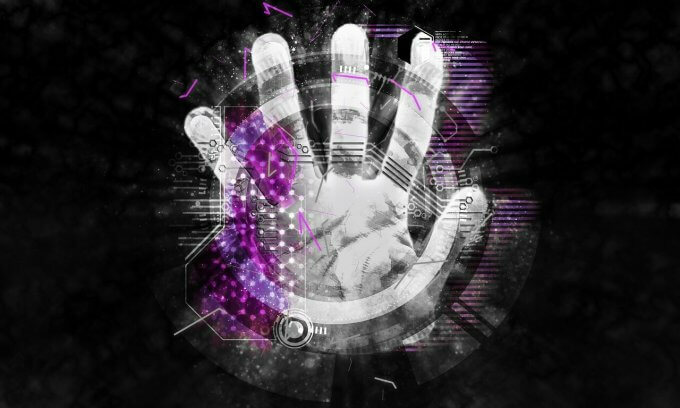 These benefits include anonymous browsing online, increased security, and revamped privacy protection from outside eyes such as the government or an ISP. Proxies function as the go-between for the Internet connection and your device. Each proxy will have its own IP address and prevents data transfers from being traced directly back to your device. VPNs, on the other hand, are more like tunnels, that block out any interference or tracking from external sources. When you use a VPN, you are pretty much connecting directly to the Internet privately. They are regarded as the most secure way to browse the web anonymously. You can get past geo-blocked filters and firewalls with VPNs, and typically, you need to pay a subscription fee to use a VPN on your Internet connection. 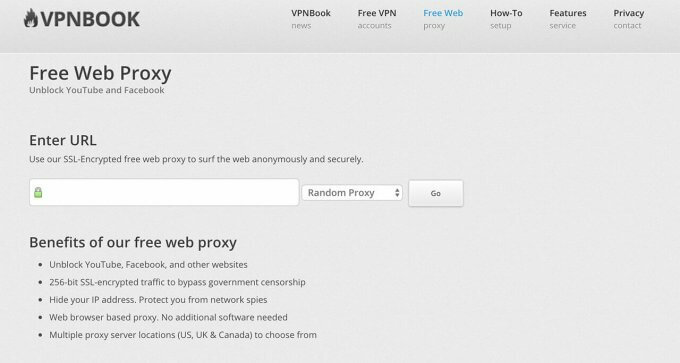 Now that we’ve covered the basics of proxies, including the features of a proxy, and the reasons to use one, let’s get into our list for the top ten free proxy websites available. Keep in mind that no online proxy is perfect, and you will have to make some compromises. 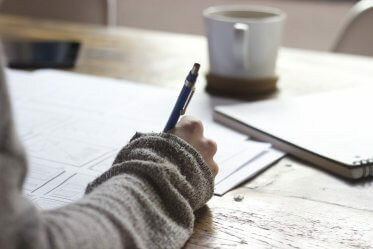 It all comes down to what your needs and specifications are. Some have intelligent UIs but lack speed, while others might look clunky but offer zippy download speeds. Whatever the case is, here is my top 10 list. This website provides users with SSL proxy support which will protect them from scripts or other malicious tools that can severely harm their computers. This proxy website also has a good reputation for being one of the most reliable proxies available on the Internet. When you use this proxy website, you can choose between either a European or United States server before you start to browse. You also have the option of choosing to encrypt your URL, block cookies or allow them, reject or accept scripts, and even strip away things from loading. You can also change the browser referrer with Hidester which hides the operating system and web browser that you’re using to access a website. In addition, with Hidester, you can also clear your cookies stored on any website that you access with only a few clicks which helps to preserve your online privacy. 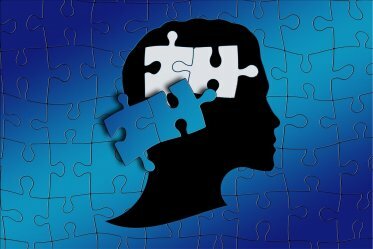 Even with all of these features, there is still one more helpful tool that you might find interesting. With Hidester, you can generate a temporary email address and password to use on the proxy, so you don’t need to disclose your personal information. The service is free to use, but if you opt to pay for the proxy website, you can gain access to hundreds of other proxies around the world. This is a proxy website that will let you access any website including YouTube. Once you log on, you’ll have the opportunity to choose from proxy servers in both the United States and Europe. When you first go to the website, you’ll see a text bar that lets you enter in the website that you wish to visit. To save time, the proxy website also offers helpful, quick links to popular websites like Facebook, Reddit, YouTube, Imgur, and Twitter. With this free proxy website, you have the opportunity to select whether sites can use scripts, cookies, and objects. What’s more, you can also use this free proxy website to block ads which is a nice added bonus. In addition, you also have the ability to change the server you use while you’re browsing on the fly. This is a great tool if you happen to use a blocked server on a website and need to switch quickly. This free proxy website is another tool that makes browsing the web anonymously simple and straightforward. To start with, all you have to do is enter the URL of the website you wish to visit. From there, you can then select the proxy location that you would like to use, with the options being the United States, Germany, and the Netherlands. 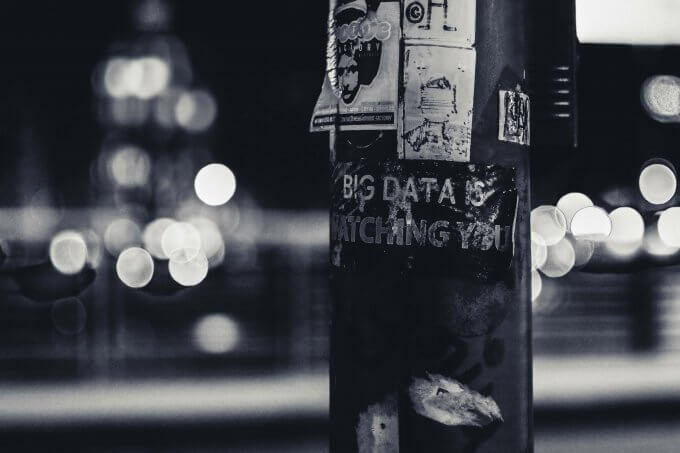 Similar to most of the other free proxy websites on this list, you can also choose whether you want to disable or enable encryption, cookies, and objects. KPROXY is a unique free proxy website when compared to other options on this list. 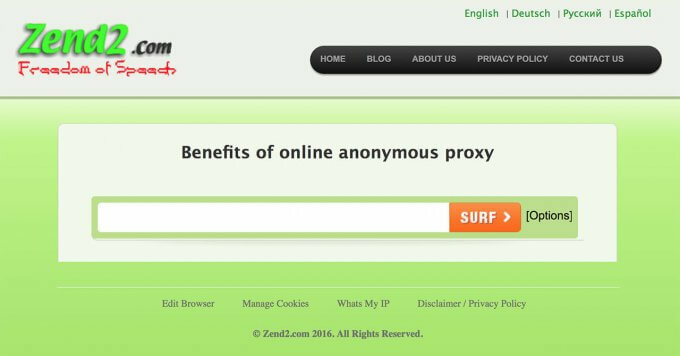 For starters, you can hide the proxy menu as you browse which makes for a seamless browsing experience as you surf the net anonymously. Most of the other free proxy websites won’t let you do this, and it can look a little bit clunky. Apart from that feature, another benefit of this free proxy website is that you can switch between ten different proxy servers on the fly should you run into blocking issues. This process is quick and hardly interrupts the browsing experience at all. This proxy service provider also offers a small browser application for Google Chrome and Mozilla Firefox, which make quick and easy access to the proxy possible. 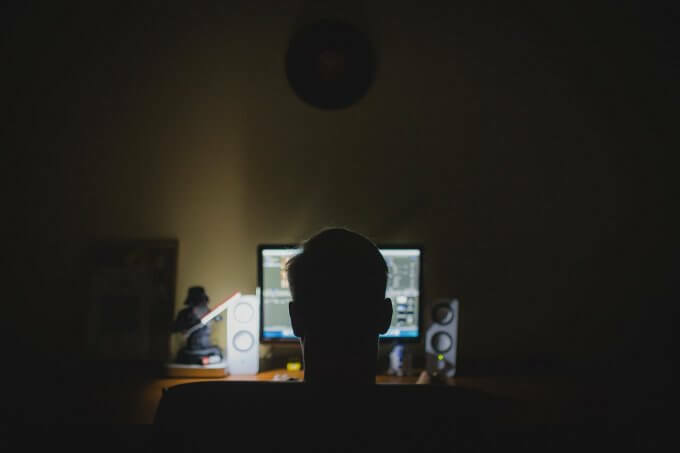 You can practically become anonymous in all of the web traffic you use during your day-to-day life with this add-on, which is a great feature for people with online privacy concerns. 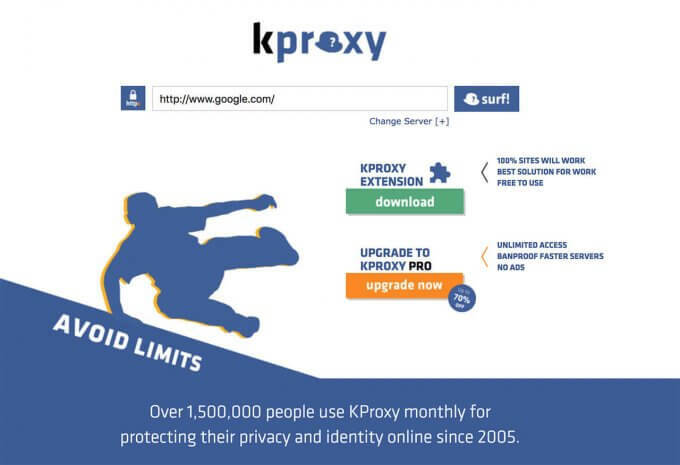 Finally, the KPROXY application is very similar to a traditional VPN. The only difference between the two is that it only works when you are browsing the Internet with Chrome or Firefox. It essentially applies the proxy to every single webpage that you visit which is a great feature. All around, this is the best free proxy website for people that don’t want any fuss while they protect their browsing privacy. With this free proxy website, you have the option of either selecting a proxy server location yourself, or you can have one chosen for you based on the current traffic and the websites you wish to visit. 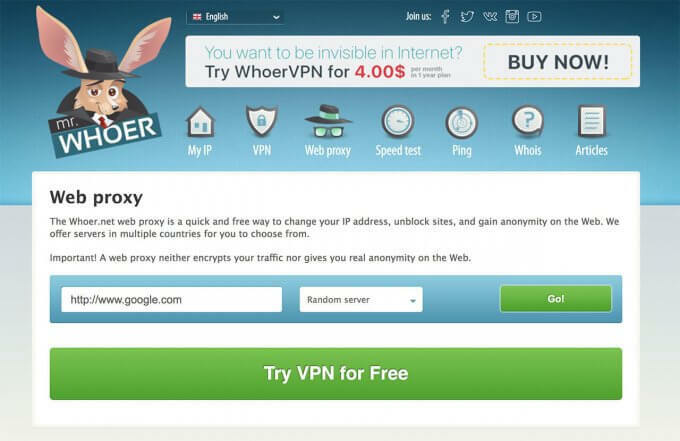 Whoer.net allows users to select proxy servers in a variety of different locations including the following: Los Angeles, U.S.; Stockholm, Sweden; London, UK; Paris, France; Amsterdam, Netherlands; Moscow and Saint-Petersburg, Russia. The only downside of this free proxy website is that you can’t remove the huge ad at the top of the browser window. It is advertising VPN services and can get in the way, almost ruining the browsing experience in some instances. VPNBook is an option for people that want free anonymous proxy services with a clean and uncluttered layout. With this free proxy website, you can enjoy 256-bit encryption to protect your security while browsing online. This service also supports all HTTPS websites too with servers based in the United States, the UK, and Canada. You can quickly and easily change the website that you want to browse by simply updating the address bar at the top similar to normal website browsing. One drawback to this free proxy website is that you have no control over allowing or disallowing cookies, nor can you choose to block scripts. 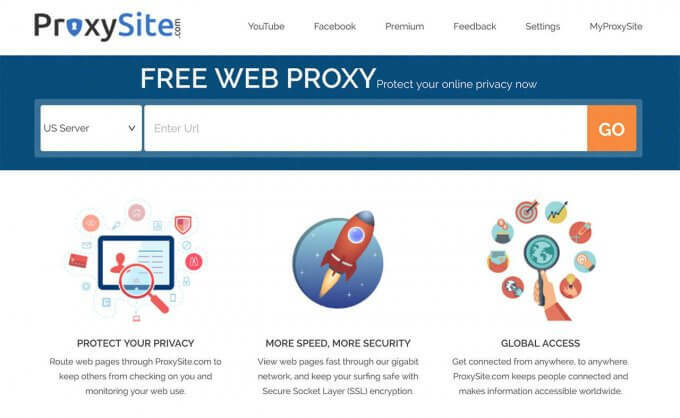 This free proxy website has been around for a long time, and users have come back to it time and time again for the variety of tools and websites that it supports. For example, with Anonymouse, you can enjoy support for web browsing, email, and Usenet (a news service) proxies. If you speak German, you are also in luck as the website offers translations in both English and German. This is a free proxy website, but if you want access to more speed and additional services, you can choose to pay a low-cost monthly subscription free. With this subscription, you’ll also have access to larger file downloads, and access to HTTPS websites while using the proxy. Megaproxy is a solid free proxy website with a few unique options that might make it more appealing to you over the other options on this list. For one, you have the freedom to choose to disable and enable OS and browser user agent identification. You can also choose to remove ads from web pages, which is a nice touch as well. Also, you can choose to limit animations to only two iterations, and you can also block cookies to preserve your anonymity. 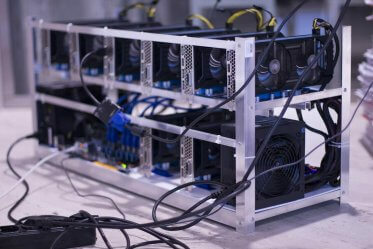 Overall, if you just need a proxy for simple tasks, and don’t intend to use it for any heavy applications, this could be a good free proxy website to choose. If you want to use a free proxy website to browse Facebook or watch YouTube videos, Zend2 is the choice for you. Surprisingly, not many free proxy websites will support these sites, so whenever you come across one that does, you should definitely bookmark it. 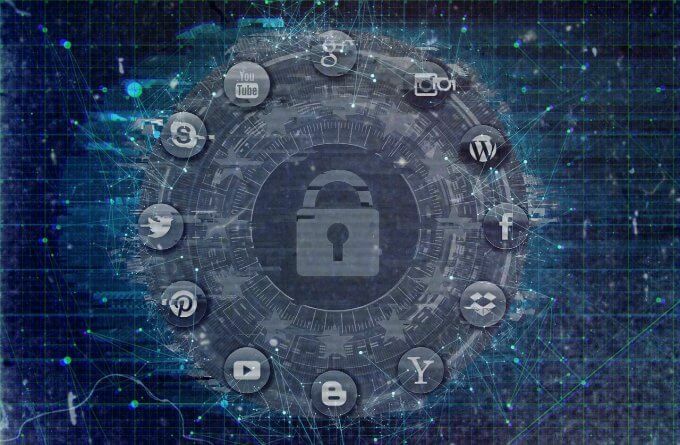 When you use this free proxy website, you also have the option to enable or disable cookies, objects, scripts, and can enjoy encryption services as well. Keep in mind that you can only adjust these settings before you start browsing and you can’t change them while you browse using Zend2. 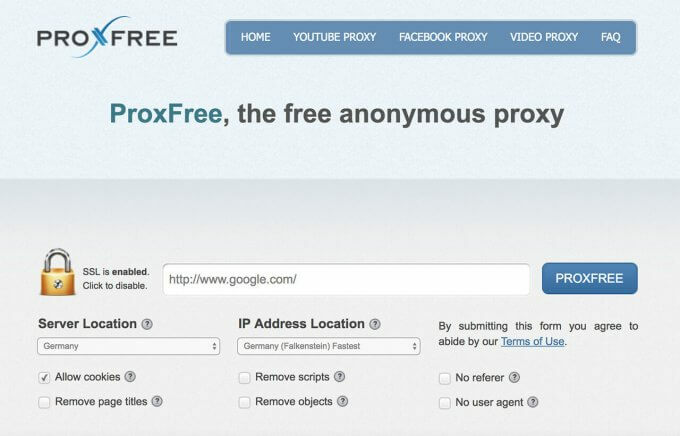 The final entry on this list of best free proxy websites is Proxfree. As the name suggests, this is a free proxy service that provides outstanding results right away. There is an extensive list of servers available to choose from along with the ping of each one. This is a great tool because it allows you to determine which one will be the fastest before you log onto it. If you are located in India or anywhere in South and Southeast Asia, this also a great free proxy website to consider. Those are the best 10 free proxy websites available! Feel free to give any of them a try. Well, trust me, if they made it on this top 10 list, they are reputable and are fairly good at what they do. After all, they are free, so it’s worth a try to see what they are like! Did I miss anything? Suggest a free proxy in the comment section below.